Sitting directly across from some the most expensive real estate in Philadelphia is Grill Master Deli (GMD). As you would expect, most of the dining options around the area are fancy and a little high priced, GMD thrives with cheap recognizable basic meal options to eat. GMD is not going to wow you, or break new ground with anything, but if you just want a quick affordable something to eat, GMD is the place for you. On a nice day, they could be the perfect fit to get a bite to take-out and sit in Rittenhouse Square and enjoy the sights on a budget. 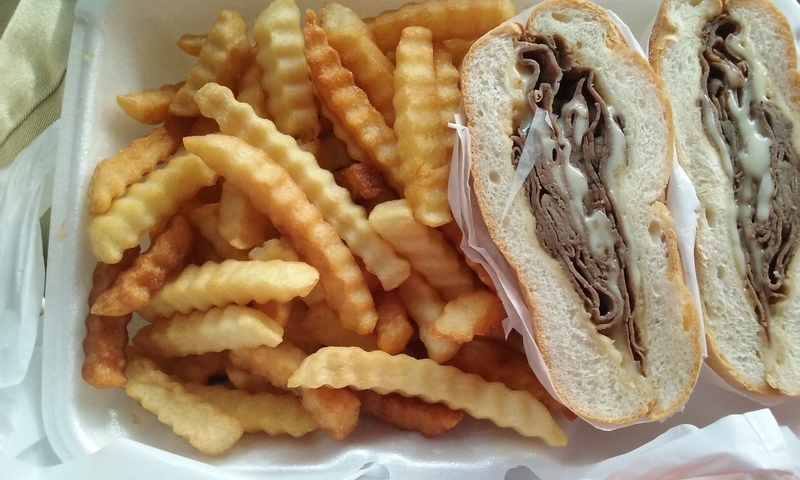 On my visit, I would have their hot roast beef with provolone on a kaisar roll and fries. It was as you may have guessed by now after reading this far “basic”, but that was what I was looking for and GMD succeeded. Posted in Restaurants and tagged cheap eats center city, grill master deli philly, most expensive real estate in philly, where to eat for cheap around rittenhouse square. Bookmark the permalink.